AARP Volunteers to Deliver Blueprint for Averting Looming Disaster to L I Lawmakers, Urging Increase in NY’s Bottom of Barrel Level of Caregiver Services. Bay Shore, NY - December 17, 2013 - WHAT: New York state ranks 48th in supporting caregivers, who provide unpaid care for loved ones. AARP New York says that’s got to change. Making matters worse, a looming population shift in New York will find fewer caregivers to care for more elderly residents, stretching caregivers even thinner. More than half of all Long Islanders 50 and older expect they’ll have to provide care in the next five years. Tuesday, Dec. 17, AARP volunteers will fan out across Long Island to deliver to state lawmakers a blueprint for improving New York’s approach to supporting the 4.1 million people who provide $32 billion annually in unpaid care to loved ones, including many elderly and frail. The issue is one of AARP’s top 2014 state legislative priorities. Mary Ann Malack-Ragona, Executive Director/CEO, Alzheimer’s Disease Resource Center, Inc.
(Take Sunrise Hwy to Exit 44 toward Brentwood Rd/Brentwood/Bay Shore. Merge onto Sunrise Hwy North Service Rd, then make slight right onto Brentwood Rd ramp toward Bay Shore. Merge onto Brentwood Rd. and turn right onto Union Blvd. Turn left onto Park Ave.; destination will be on left). WHY: New York has frozen funding for caregiver programs in recent years even as the proportion of New Yorkers who provide care increases. AARP and its partners are urging Gov. Andrew Cuomo and state legislators to adopt ideas for strengthening supports to caregivers - ideas generated by caregivers themselves at a series of listening sessions across the state including Oakdale on August 13. These mostly non-medical investments will save money by keeping more New Yorkers out of costly institutional care and in their own homes and communities with their families, and will help businesses, which lose billions annually because of employees’ caregiving obligations. 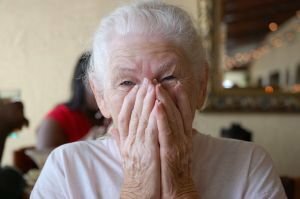 Subject: LongIsland.com - Your Name sent you Article details of "Long Island Facing Caregiving Crisis"